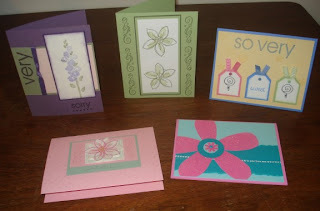 Craftin' Caro: Recent cards from my Sell-A-Bration 10 card class! What a beautiful set of cards. I am sure everybody had an awesome time! Looks like a wonderful set of cards. I bet everyone had fun. My stamp club also made the chirp up card last night. 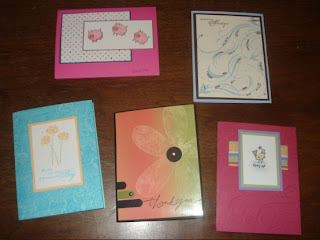 Very nice cards...some are certainly CASEable given the stamp sets I have on hand.